Allah, to express his elevated position, arranged for His Beloved Prophet ﷺ the Journey of Ascension, i.e. Mehraj or Miraj. “Allah chooses for His Mercy whom He will, and verily Allah is Bestower of grace abounding.” (Surah Al-Baqarah V105). In addition to the above cited verses, there are many other verses in the Qur’an in which Allah has expressed his greatest grace and blessing unto His Esteemed Prophet ﷺ. The blessed journey can be divided into two parts; the first part from Haram of Makkah to Jerusalem, the Bait-ul-Muqadas and the second part, from Bait-ul-Muqadas to Sidra-tul-Muntaha and beyond, and the reality of beyond nobody knows but Allah and His Apostle. The first part of the journey is called Isra and the second one is called Mehraj. In the light of verses of the Qur’an and Ahadith-e-Sahihah, the both parts of the journey are depicted here for the readers. The Month, date and Year. The journey took place in which month had been a point of discussion of scholars. Some of them are of the view that it occurred in the month of Rabi-ul-Awwal, to some it occurred in Rabi-us-thani and yet to some in the month of Ramadan-ul-Mubarak. However, Ibn-e-Qutaibah, Dinwary (passed away on 267 AH) and Allama Ibn-e-Abdul Bar (passed away in 663 AH) declared the month of Rajab and from amongst the later Imam Raf’i and Imam Nawawi also declared Rajab as month of the journey with full determination. Mohadith Abdul Ghani Moqadasi also declared Rajab as the month of Mehraj. He has also given the 27th night of Rajab as the date of the journey. However, there is no mention of the month and date of Mehraj in any of the six Sahih Hadith. Moreover, before that era nobody celebrated the yearly anniversary of Mehraj; neither the Prophet ﷺ nor his companions. In which year the event took place is a matter to be determined; the writing of Allamah Ali bin Burhan-ud-Din Halbi is mess of all the statements of the scholars in this respect. He writes: The journey took place one year prior to the Hijrah. Ibn-e-Hazam wrote it with full faith and claimed that a consensus is found on it. To some others it took place two years prior to Hijrah and yet to some others three years prior to Hijrah. Anyhow, after the sad event of Taaif, the Prophet ﷺ journeyed to the place beyond dimensions and witnessed the Divine Signs. However, two things are proved; the event of Mehraj took place after his return from Taaif and before his Hijrah to Madinah. In this verse is mentioned a very amazing miracle of the Prophet ﷺ. Since the limited human mind and the reasoning is unware of the Truth, have made a much hue and cry. It is therefore, in the fitness of the things to give a brief mention of the pertinent points so that the people in search of the Truth and Reality may easily identify the Truth, and the dust of the doubts and suspicions that have hidden the beauty of Truth will thus be washed away. “One night, the Prophet ﷺ was at rest near Ka’bah in the Hateem; Jibrael appeared, awoke him and apprised him of the Divine intension. The Prophet ﷺ rose and was brought to the well of Zamzam. His chest was split and in the pure heart was poured a tray full of faith and reasons and then it was sewed again. He came out of Haram and an animal named Buraaq was offered to him, whose speed the eyesight was unable to chase for its one-step covered the distance beyond human sight. The Prophet ﷺ mounted on it, reached Bait-ul-Maqdas and tied it where the other prophets used to tie their animals. The Prophet ﷺ went to the Masjid of Aqsa where all the Prophets of Allah were awaiting him; they offered their prayer behind the Prophet ﷺ. Thus, the covenant to their Lord was fulfilled, which on the day of inception, their souls had taken to believe in the beloved one of Allah (Surah Ale-Imran V81). In the very proximity, in addition to the other gifts, the gift of fifty prayers was awarded to the Prophet ﷺ, which with the meddling of Hazrat Musa (a.s) reduced to five but the reward remained the same. From the high Heavens, the Prophet ﷺ descended to the Earth beneath, the night was yet prevailing; to all directions, the murkiness was spread, and brightness of the morning was yet far away. To the believers, the authenticity of an event was not based on mere logic or reason rather they had full faith in the Omnipotent Allah to Whom nothing was impossible. The following morning, when the Prophet ﷺ mentioned the amazing event in the crowd of pagans, assembled in the Haram, the people divided into two parts; some of them believed in him and the others disbelieved. 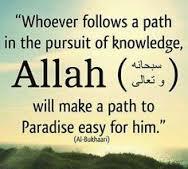 He who had delivered the news, was such truthful a man whose truthfulness is above doubt; when he, whose truthfulness is above doubt, tells an event that Omnipotent Allah did such and such thing, who are we to discuss the possibility and impossibility of the event told by him? 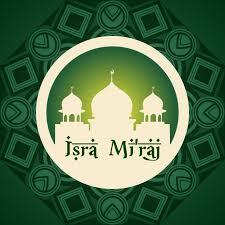 The word Isra refers to the journey by night and night with reference to time reflects the meaning of shortest time. The journey peacefully took place in the night, not the whole but a part thereto. The subject of Isra is Allah and the Prophet ﷺ is referred as, “Be Abd-e-Hi”, in this are hidden the Divine expediencies. That is the sole cause, Allah called him “Be Abd-e-Hi” while revealing the event of Mehraj. Further, this very word reflects that the journey was not performed by the soul only but by the body as well. For the word, Abd does not apply to the soul but to the man, the complement, the aggregate of the soul and body. To perform distanced journeys in the dreams is not rebutted but when the Prophet ﷺ recited the event to the pagans they rebutted it and made such a big hue and cry that the Muslims with weaker faith went apostate. If the Prophet ﷺ had told them that he performed the journey in the dream, such reaction of pagans would have not come on fore.